Please join us for a festive mince pie and a screening of the 1945 film Brief Encounter. Following Dr Rebecca Harrison’s fascinating talk in November, we have decided to screen David Lean’s beautiful film as part of our Closely Watched Trains programme. 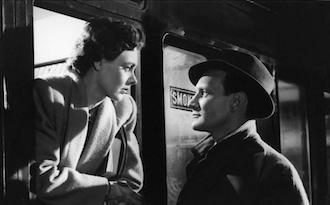 After a chance meeting on a train platform, a married doctor Alec (Trevor Howard) and housewife Laura (Celia Johnson) begin a muted but passionate, and ultimately doomed, love affair. With its evocative setting, a score by Rachmaninoff, and brilliant performances (Johnson was nominated for an Oscar), it remains a captivating and poignant film – offering a quiet but unmistakable reminder of what it can mean to live the choices we make. You can book a seat directly via info@campleline.org.uk. We can take cash payments on the door.